The GF loves the holidays. 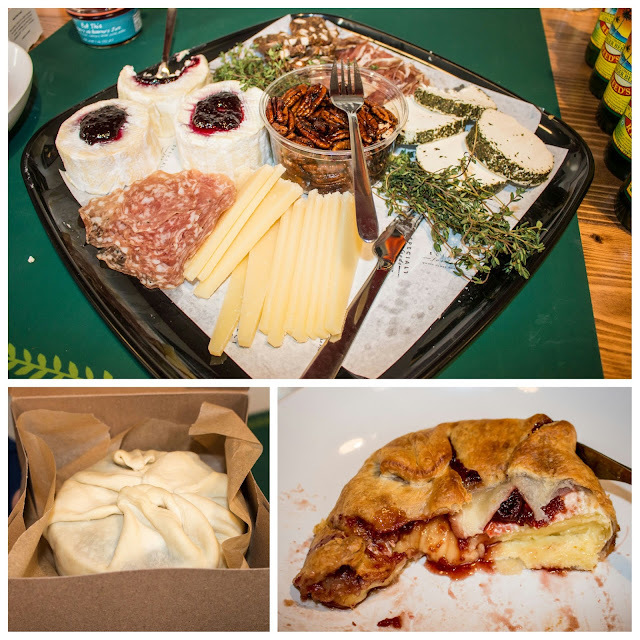 So when she heard we were invited to the Whole Foods Holiday Bazaar, it was a "book it" type of moment - no questions needed. Whole Foods set up shop at Saxby's Headquarters and offered a sneak peak at some of their fall and holiday offerings. 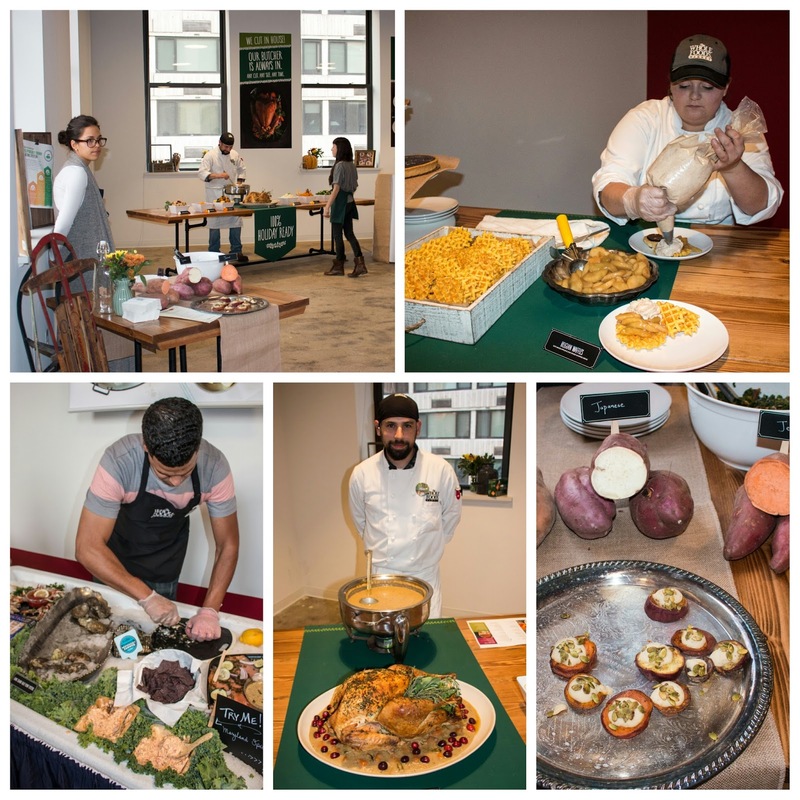 Whole Foods associates were offering a variety of tastes that ranged from raw bar delights all the way down to decadent desserts! But they started us off with cocktails. The GF and I enjoyed an easily quaffable Art in the Age Root mixed with Reed's ginger beer. 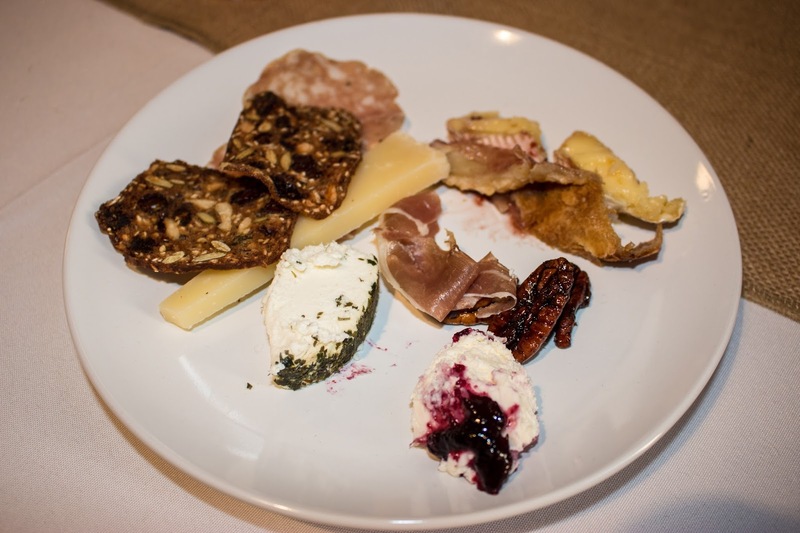 From there we moved on to a delectable range of various cheeses and salumi, along with brie en croute! The latter's a great buy for the holidays or simply for hosting. Just pop it in the oven for 20 minutes and you're golden! Along, with that flaky pastry crust, of course! 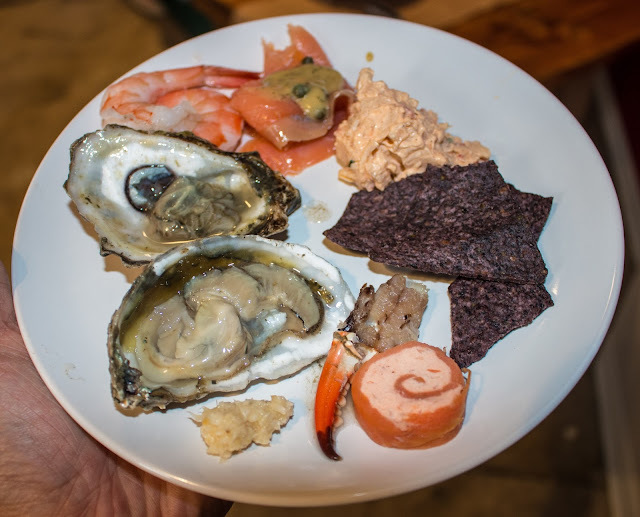 From there, we moved on to the raw bar, which featured shrimp, lox, crab dip and oysters. There was also a salmon pin wheel and crab claws to enjoy. One of our favorites of the night was an amazing kale and collard salad with roasted sweet potatoes. This was also served with sweet potato "crostini" with white bean dip. 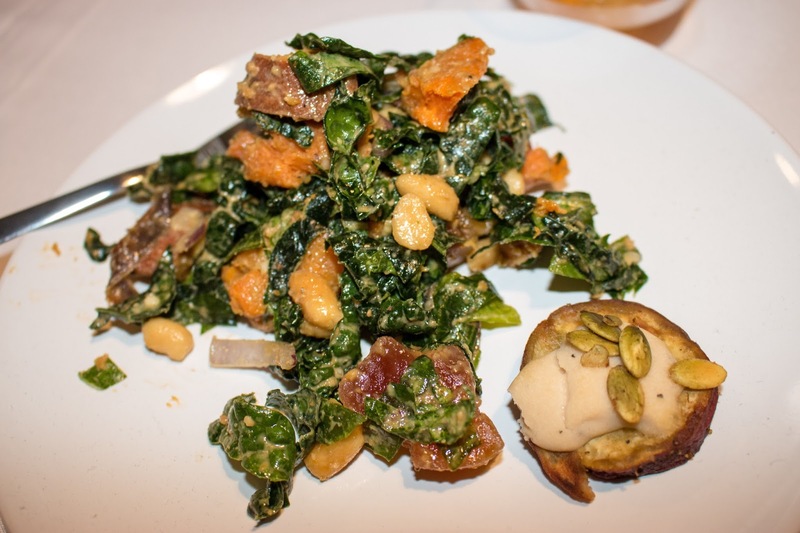 The kale and collard salad was so good we've already recreated it twice! And this is coming from someone who typically eschews "roughage." 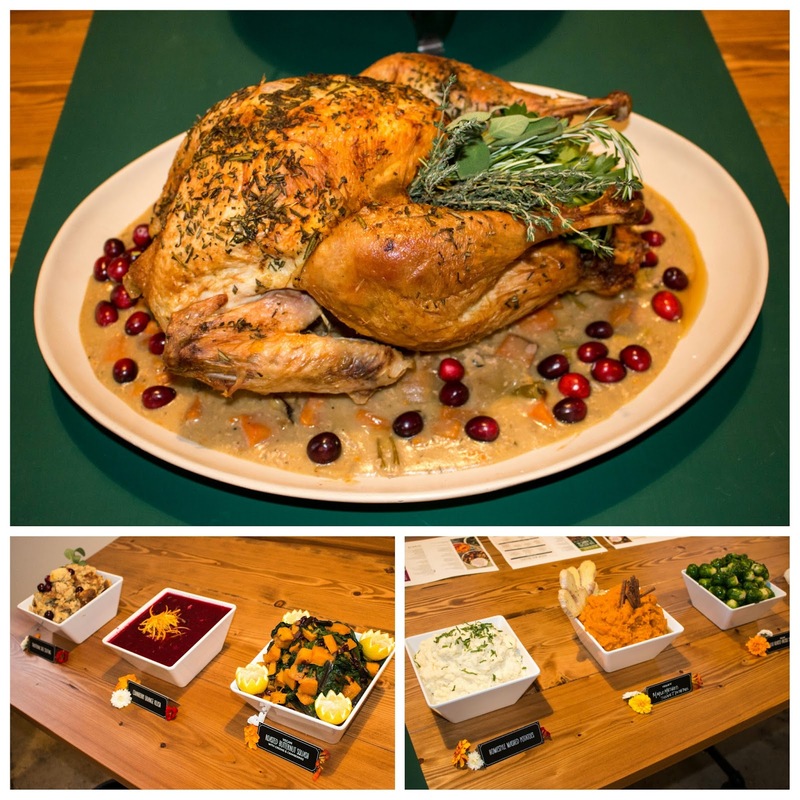 Don't forget that Whole Foods will prep your holiday meals for you. Just pre-order, pop their turkeys and sides in the oven, and you're set! 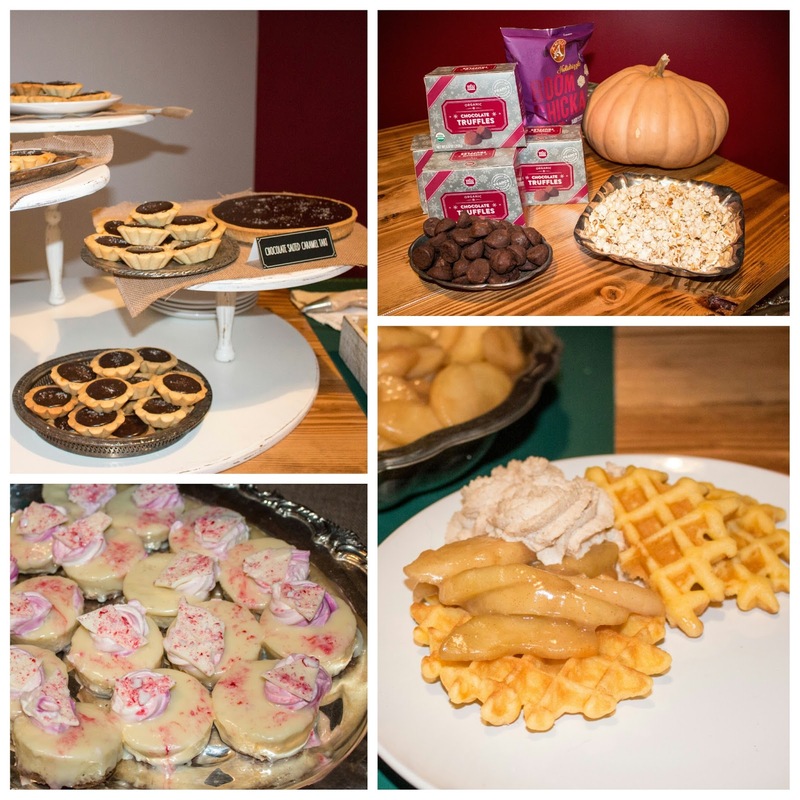 We got a taste of some of their Thanksgiving Day treats and couldn't help but get excited for the holidays. 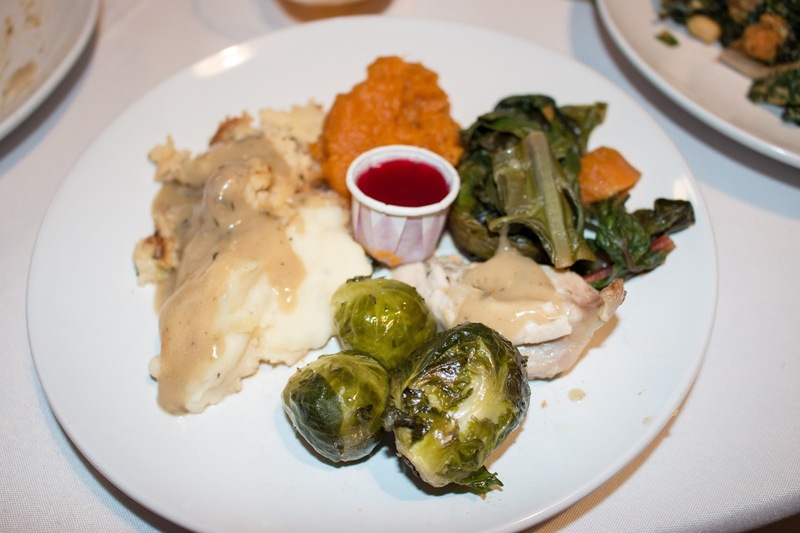 The turkey was moist and not dry at all, while the collards were hearty with depth of flavor. The brussels had substantial bite and the yams were rich and satisfyingly sweet. The GF's favorite station was obviously desserts. I caught her staring a few times during our journey through the holiday bazaar. And it's clear why. Nothing wrong with chocolate-caramel tarts and peppermint bark cheesecake. 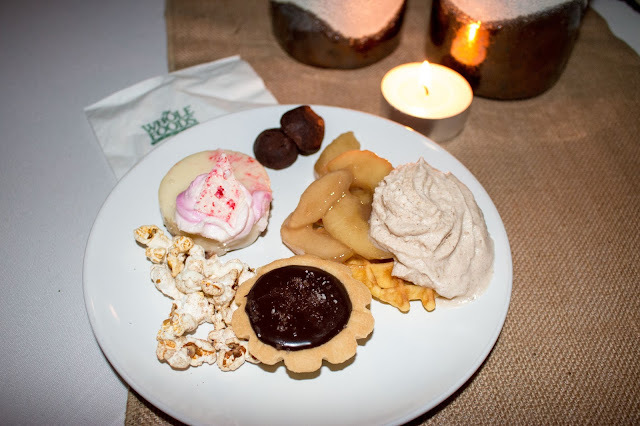 Or Belgian waffles with baked apples and chai whipped cream. Truffles and cinnamon popcorn were on offer as well! To end our holiday jaunt, we sampled some wellness products from Whole Foods that seem perfect for stocking stuffing. 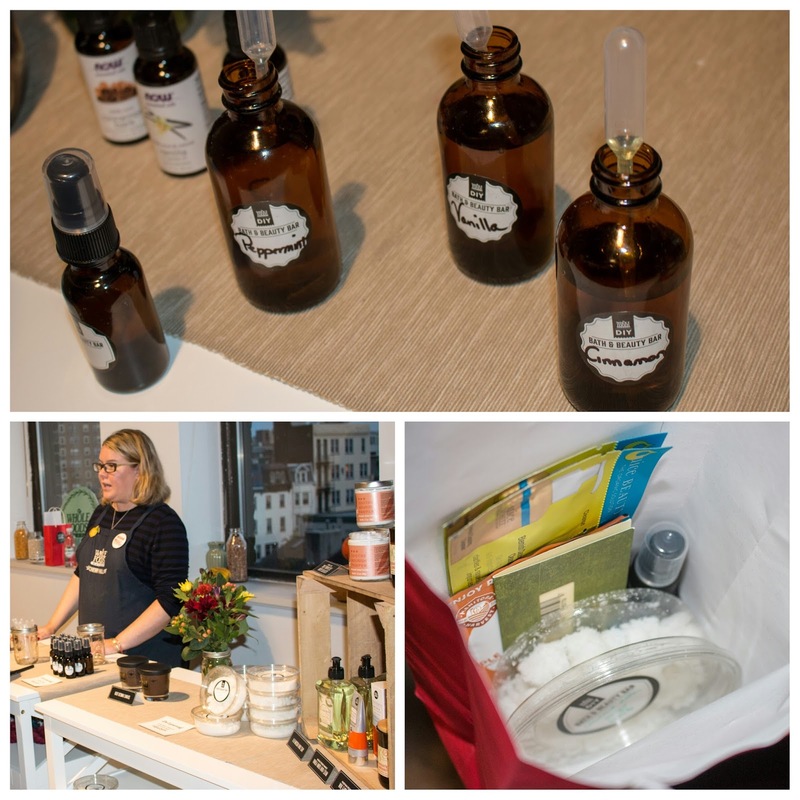 In addition to sea salt-sugar scrubs and candles, they had a make-your-own demonstration. Cinnamon or peppermint was tempered with vanilla to make our own aroma sprays. On our way out, we received a gift bag with the wellness items and the aroma spray we made. We also received to-go containers with desserts to enjoy later that night. So be sure to stop by and consider Whole Foods for your holiday needs. All of their wellness items are surprisingly affordable as they're usually less than $10 a pop! Whole Foods has also got you covered if you're looking to relax during the holidays or just need a foundation for your meal.